KX-TG4500 or KX-TG2000 system. It doesn't matter how many handsets you have, one CK-1P Music/Message On Hold unit will work with all of them. The unit works automatically in the background every time you press the HOLD button on any of your KX-TG4000/4500 / KX-TG2000 phones (including your cordless handsets). This unit lets your message sound its best "On-Hold" from Cassette Players, PP Players, CD Players, PC Sound Card Output, or any Powers Productions Digital Player (including our Pre-owned models). 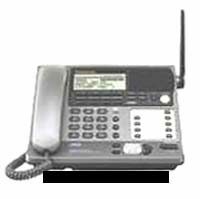 The CK-1P Music/Message On Hold unit sounds great On-Hold without having to buy an expensive telephone KEY system (PBX/KSU). 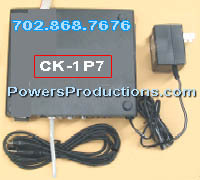 Note: The KX-TG4000/2000 PHONE DOES NOT COME WITH THE Skutch CK-1P7 interface!! 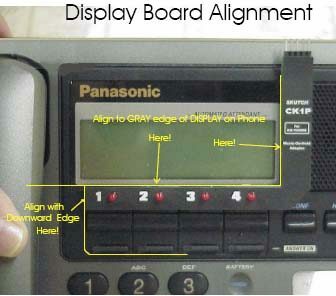 We are using the image of this phone to illustrate where the CK-1P7 will be positioned when in use.